Surrounded by the tranquility and cacophony of the jungle makes the Amazon Jungle is an Eco-travel destination like no other. One can be a patient observer in a world where wildlife rules. This primitive setting however by no means requires visitors to damage it. The Amazon Jungle excursions through the rainforest, by boat or on foot, allow plenty of time for relaxing in the exotic setting. On Amazon Jungle Excursion, visit the monkeys swinging from the trees, anaconda as long as a sedan slithering through the underbrush (at a safe distance), colorful birds and peculiar creatures that we all have always seen in books or TV. Most Amazon wildlife is observed by traveling along the shore and through the swamps, streams and oxbow lakes created by flooding of the river and its tributaries. Since many tropical species are nocturnal, it is profitable to stay in areas where night walks are possible. 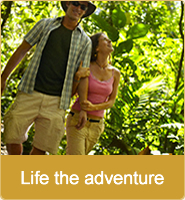 The destinations of most Southern Explorations Amazon Jungle Excursion are wildlife-rich streams in private reserves. Combine this once-in-a-lifetime adventure with other memorable experiences such as Peru tours to Machu Picchu and Cusco or highest navigable lake in the world Titicaca Lake are special attractions. The Amazon basin is a marvel of the world and the imagination, a real-fantasy of unrivalled size and diversity, and a place of near mystical eminence among travelers. It’s a life spring of the planet, the source of so much of the life giving water, air and weather we all depend on. For all its size, the joys of the Amazon are mostly subtle the ghostly roar of howler monkeys, the remarkable variety of fauna, the amiability of riverside communities and the quiet but overwhelming power of the river itself. May to June is a great time to visit, being midway between wettest months (February to April) and the hottest driest ones (September to November). That is the time when the water level in the Amazon is at its peak and the surrounding jungle is flooded. The Amazon upsurges and tumbles by an amazing 12 to 15 meters annually, and few experiences are awe-inspiring and uniquely Amazonian while gliding mutely in a canoe through the flooded forest. The dry season is attractive for its clear weather and opportunities for long hikes. The most memorable activities that one can do are long hikes or canoe trips to enjoy and learn about the forest, and spot some wildlife during Amazon Jungle Excursion.